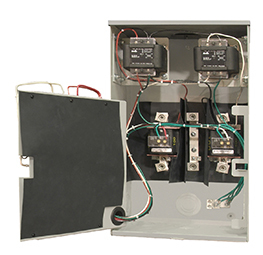 Combining the transformer-rated meter socket and the transformer cabinet in a compact enclosure, the Mini-Transocket is a cost effective choice for many utilities. The Mini-Transocket comes complete with mounting provisions for current and potential transformers. 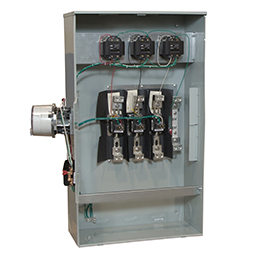 Brooks can supply the cabinet with transformers installed and completely wired, offering the utility additional labor savings. Brooks can pre-wire all Series 3000 sockets with a test switch and wiring harness. Your socket will be built exactly to your specifications, ready for installation. Brooks’ factory pre-wired socks provide an accurate, cost-effective alternative to wiring the sockets yourself. Size – W 12" x H 19-7/8" x D 4-3/8"
Ring-type – 2-piece covers and screw-type sealing rings provided. Cover over test switch can be removed without disturbing meter. Ringless 1-piece or 2-piece cover provided; test switch cover and 1-piece covers lock with stainless steel swing-latch and hasp. Meter mounting blocks are electrical phenolic. Socket terminals accommodate #14 through #6 cu/al wire. Meter retainer clips (Ringless-style) can be attached to surge brackets to help prevent accidental removal meter when socket cover is removed. 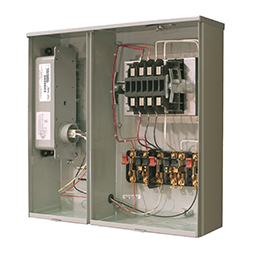 The Brooks 800 amp Transocket line provides utilities with an enclosure designed to accommodate the equipment and conductor used to support larger customer loads. Each enclosure measures 52”H x 30”W x 13.25”D, constructed of 14 gauge G-90 galvanized steel or 0.100 Aluminum. Available in 6, 8, and 13 Terminal Socket configurations complete with test switch and customer specified Current Transformers (voltage transformers available upon request). 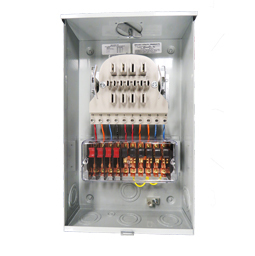 The FlashSentry VT meter enclosure can be used to convert meter from 12S, 3 wire, 480 volt delta meter services to a transformer rated form 5, 120 volt reducing the potential safety hazards associated with 480 services. The 480 volt service is isolated in a separate compartment from the metering which only sees 120 volts at the meter. The voltage is reduced by either the Two-Sockets – Two Meters VT Pack with Molex connections or with conventional voltage transformers. Provisions for either are supplied as standard. Enclosures may be supplied with mounting hardware to accommodate field/shop installation of transformers or come completely wired with transformers installed to customer specifications. Brooks Safety Meter Socket incorporates a UL compliant finger safe meter block design that significantly reduces risks of arcs. Terminations are enclosed offering a second layer of protection from environmental contamination. The wiring to the test switch is straight, easily traced and compliant to customer color codes. Wire ties, wire bends and wire convolutions are eliminated. Compatible with customer color code and test switch specifications. 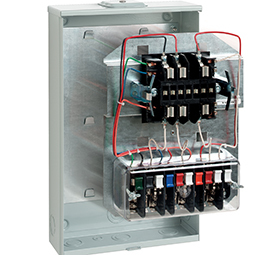 The patented Snap 2 transformer-rated meter panels come in 6, 8 or 13 terminal design, pre-wired to customer-approved test switch and color-coded wiring specs. 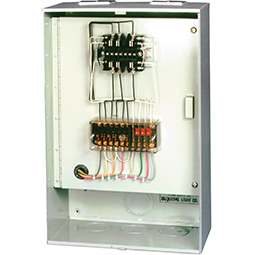 Utilities save time and reduce costly field mistakes by allowing contractors to install an empty meter enclosure. Utility personnel then take the pre-wired panel and snap it into place. Unwired version permits utility workers to wire indoors rather than in the field. 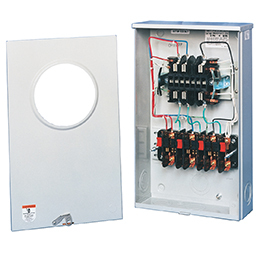 Brooks transockets combine the meter socket and transformer cabinet to provide more cost-effective metering. Transockets’ single enclosure for current-transformer metering allows mounting of current transformers and test switch. Suitable for overhead or underground service.